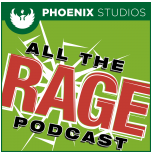 CiviliNation founder Andrea Weckerle is featured on the All the Rage Podcast‘s Episode 7: Internet Trolls. All the Rage is a monthly program in which Drs. Ryan Martin (@rycmart) and Chuck Rybak (@ChuckRybak) discuss different topics related to anger and violence. CiviliNation founder Andrea Weckerle is quoted in the Chicago Tribune article The Uber harassment case shows a new obstacle for women. CiviliNation director Amy Vernon is quoted in NewJersey.com’s article Twitter crafts tools to combat hate speech, harassment. 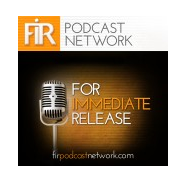 CiviliNation founder Andrea Weckerle appeared on FIR Podcast Network‘s FIR #72: Corporations Take Sides which covered “alternative facts” and how companies are taking political sides in the war on truth. CiviliNation’s Harassment Barometer mentioned by David Ryan Polgar, co-founder of Digital Citizenship Summit, on WWLP-22News’ Mass Appeal lifestyle television program.